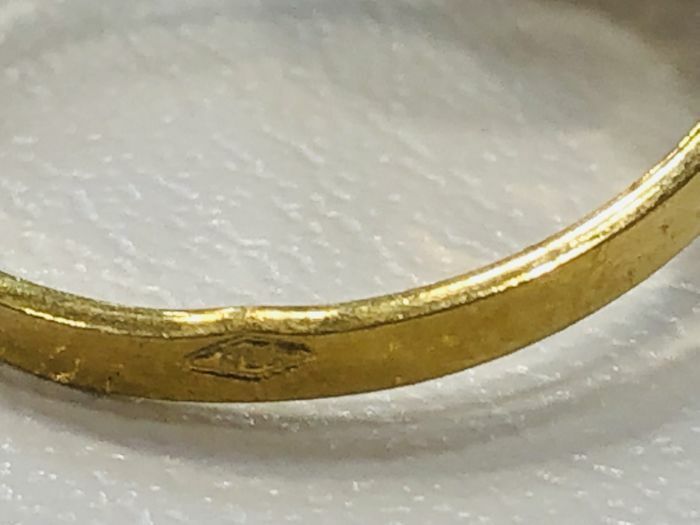 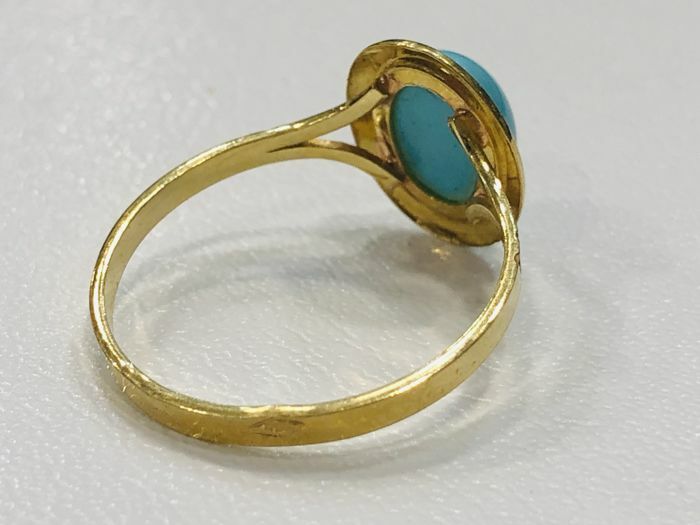 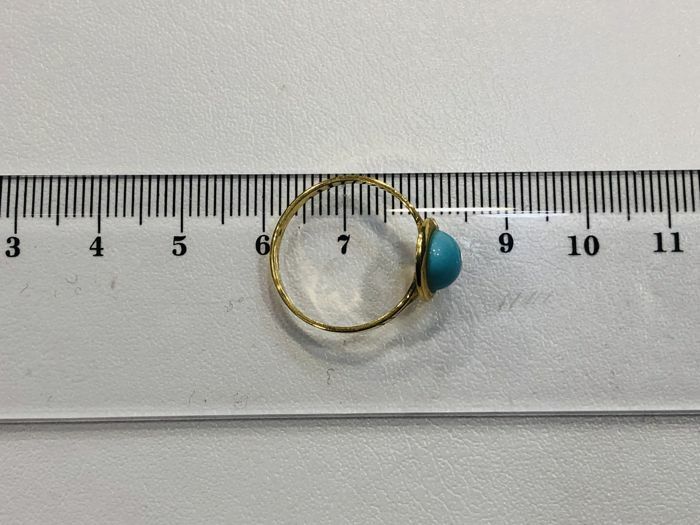 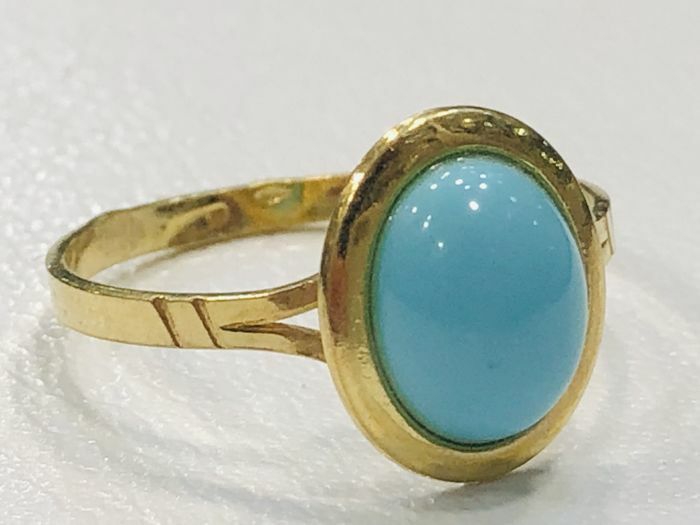 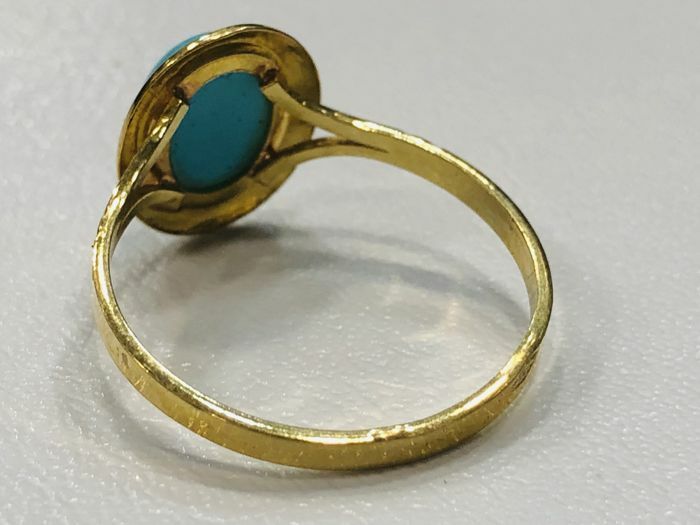 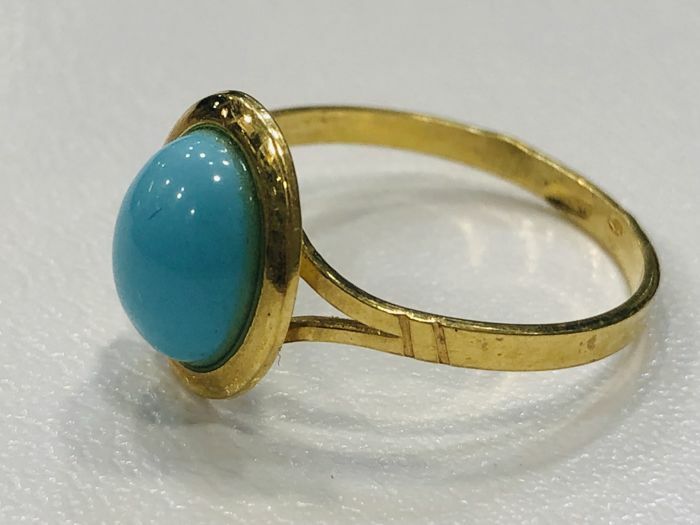 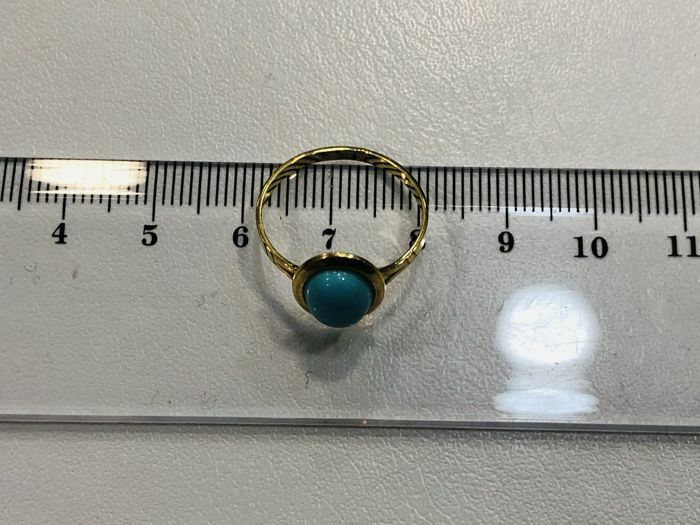 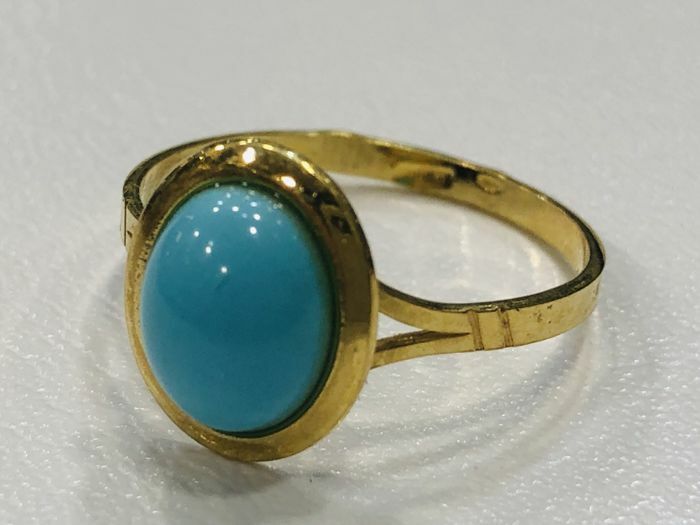 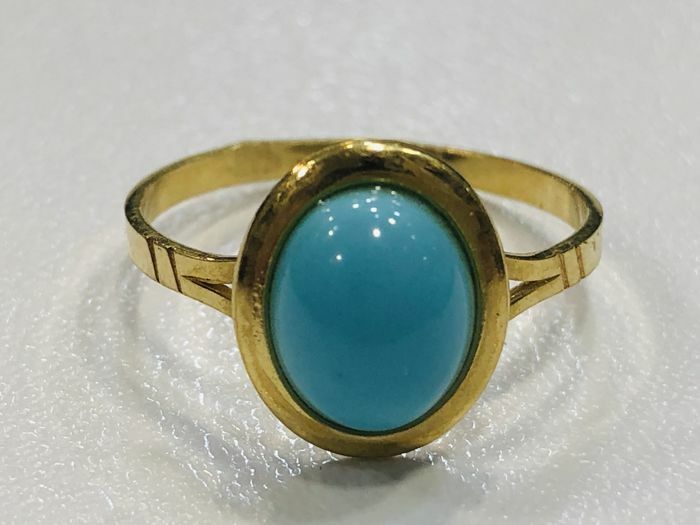 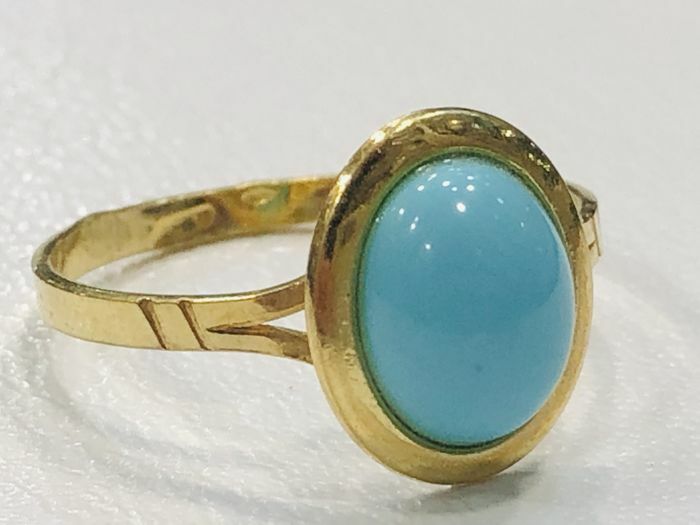 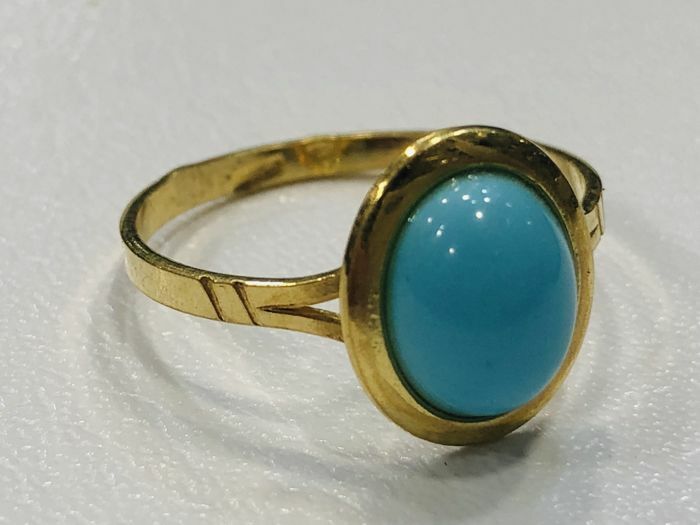 18 kt yellow gold ring with turquoise. 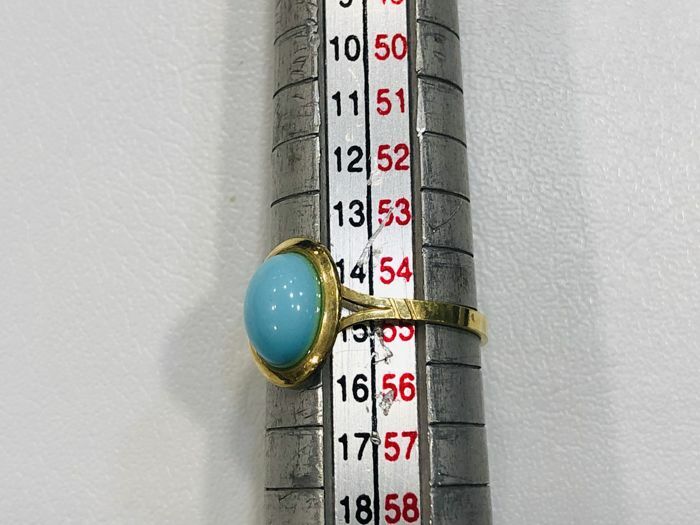 Lenght: 8 x 6 mm. 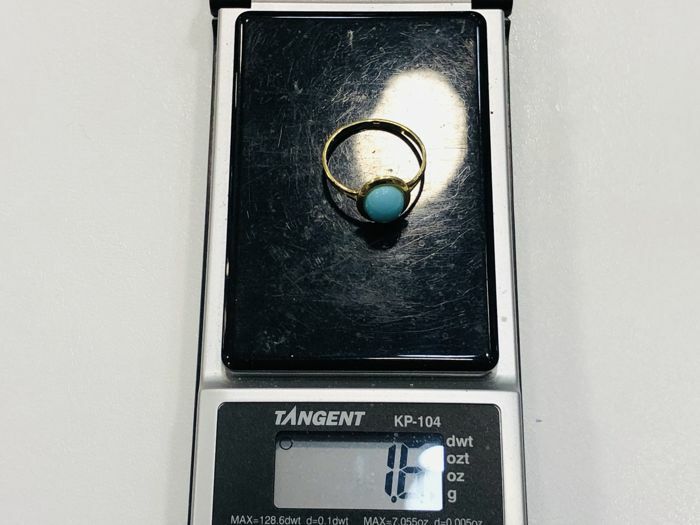 Shipping cost includes extra insurance from a private jewellery insurance company.